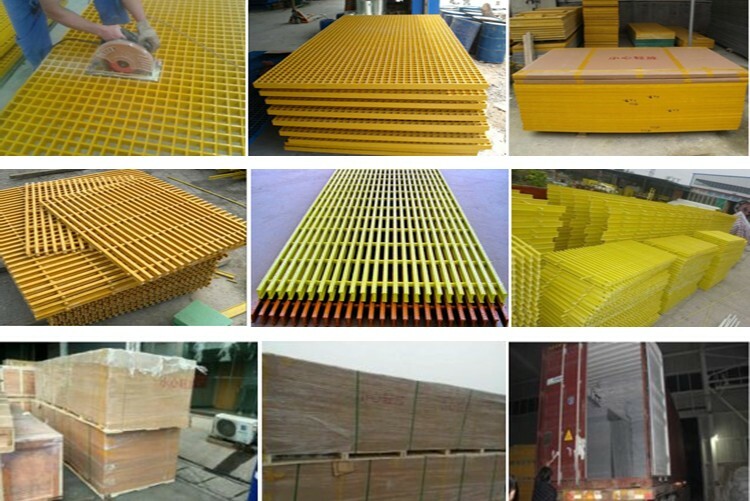 FRP grating (Molded FRP grating, pultruded FRP grating) having the characteritics of light weight, high strength, corrosion resistance, burning resistance, stable, antiskid, insulation, heat insulation, impact resistance, anti-aging, good weather resistance, and easy cutting and install, long use long, free from maintenance, etc. 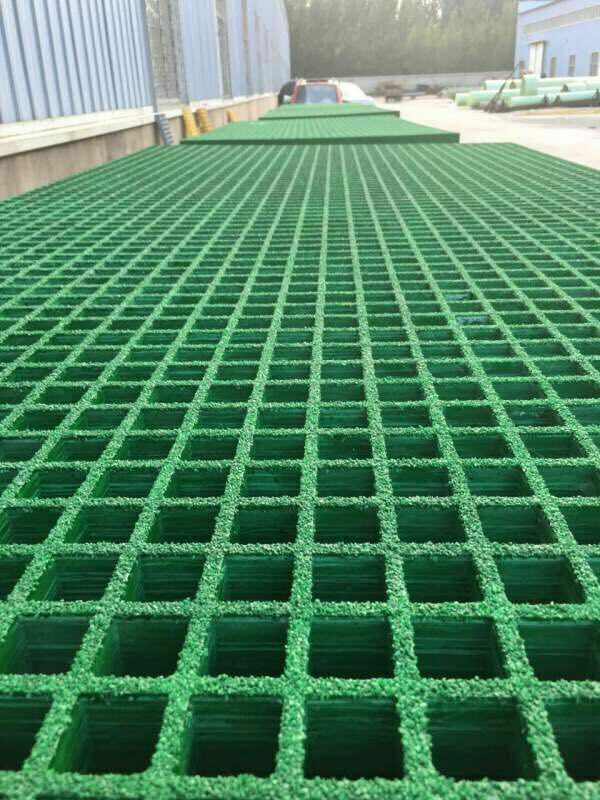 FRP Molded grating is manufactured by laying continuous glass fibres in the mould in the direction of vertical and horizontal, and thurougly wetted out with resin, layer by layer. When the weaving process is completed, the mould is heated to cure the panel. After curing, the panel is ejected from the mould. 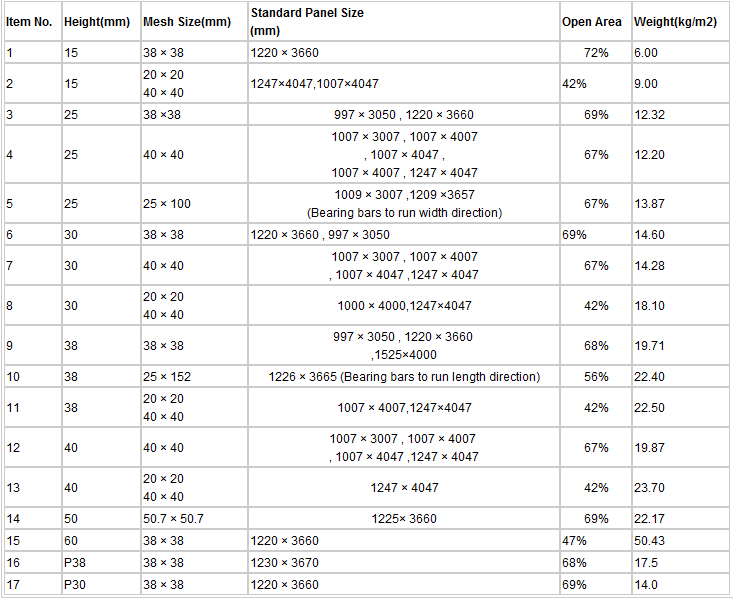 The standard panel would have meniscus (concave) top surface. Any process such as post applied grit could be bonded after as a secondary operation. This continuous process produces an integral, one piece panel, which offers excellent corrosion resistance as well as bi-directional strength. Researches and development team by knowing the importance of the FRP usage in industry and construction , have successfully conducting different researches and studies projects. At the present , it has several government- supported projects available . Design and engineering services has been given idea from customers, and make out the thinhs you imaged. Specially developing on new machinary. Installation and construction team is experienced with installation, commissioning and training service at cutomer’s factory. In this way, the customer is able to handle management of equipment themsleves soon. Maintance service is applied when customer can’t solve problem themselves. Mainly at equipment, software, tools…etc. Technical support is the most importance in production. as long as frp developing, new and advanced process, material, equipments appeared. We are giving the eyes on the world frp relatived news and supply customer advanced service.